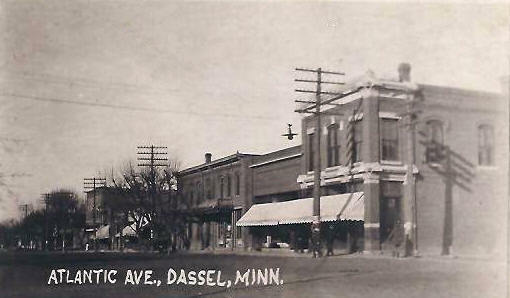 Do you have photos, historical accounts or other items pertaining to the Dassel area? Would you like to share this historical information with the world? 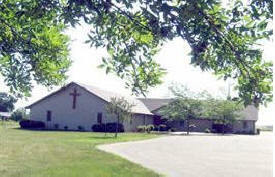 LakesnWoods.com would like to publish your Dassel photos (current or historical) or historical accounts on this website. Original materials can be returned and your privacy will be respected. Dassel is a city in Meeker County, Minnesota. 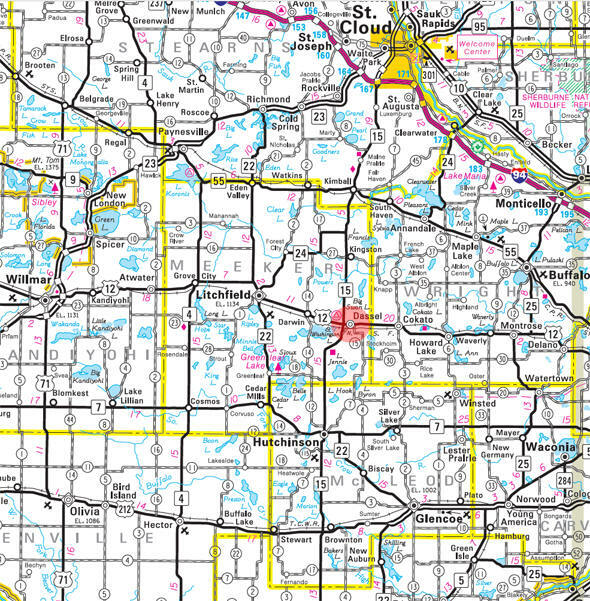 U.S. Highway 12 and Minnesota State Highway 15 are two of the main routes in the city. According to the United States Census Bureau, the city has a total area of 1.72 square miles (4.45 km2), of which 1.63 square miles (4.22 km2) is land and 0.09 square miles (0.23 km2) is water. The elevation is 1,089 ft (332 m). As of the census of 2010, there were 1,469 people, 572 households, and 370 families residing in the city. The population density was 901.2 inhabitants per square mile (348.0/km2). There were 620 housing units at an average density of 380.4 per square mile (146.9/km2). The racial makeup of the city was 95.4% White, 0.3% African American, 1.0% Native American, 0.8% Asian, 0.5% Pacific Islander, 1.0% from other races, and 1.0% from two or more races. Hispanic or Latino of any race were 2.0% of the population. There were 572 households of which 31.6% had children under the age of 18 living with them, 51.2% were married couples living together, 7.9% had a female householder with no husband present, 5.6% had a male householder with no wife present, and 35.3% were non-families. 30.8% of all households were made up of individuals and 14.8% had someone living alone who was 65 years of age or older. The average household size was 2.46 and the average family size was 3.10. The median age in the city was 35.9 years. 27.1% of residents were under the age of 18; 8.6% were between the ages of 18 and 24; 24.8% were from 25 to 44; 19.6% were from 45 to 64; and 19.9% were 65 years of age or older. The gender makeup of the city was 48.3% male and 51.7% female. 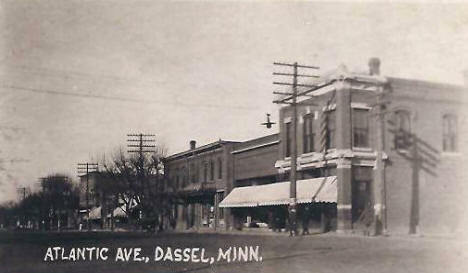 DASSEL Township, first settled in 1856, was organized in the fall of 1866 under the name of Swan Lake, from the Big Swan Lake in its northeast part, but it was renamed in 1871 for its railway village in sections 27 and 34, platted in 1869, which was incorporated February 28, 1878. The village and township thus commemorate Bernard Dassel, who in 1869 was secretary of the St. Paul and Pacific Railroad company. 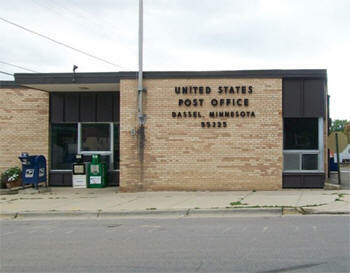 The site was platted in 1869 by Parker Simons, civil engineer for the St. Paul and Pacific Railroad; Simons liked the area and built the first frame building on the site; the early townsite had a general store, a sawmill, a hotel, and a number of small businesses; the post office was called Dassel Station, 1869-70, before changing to the present form. Enjoy a delicious chicken dinner on Red Rooster Day in Dassel, home of the largest chicken barbecue in the state. What was originally a one-day event has evolved into a full weekend of activities, but the chicken dinner served on Labor Day is clearly the big drawing card. The Dassel Business Directory is Coming Soon!